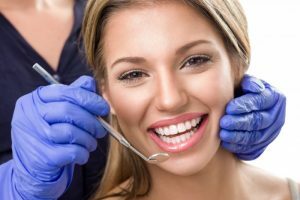 It’s great that you feel confident about the results from your teeth whitening in Los Angeles, but how do you keep your bright teeth white for as long as you can? There are a few things that you can do to make your professional whitening results last for much longer. Learn more about how to maintain your whitening results in this week’s blog post! What we put in our mouths discolors tooth enamel. This means that acidic foods soften your tooth enamel and contribute to the staining when you drink or eat dark things like wine, coffee, or even snack on berries. Cigarette smoke, prescription medications, such as tetracycline, and the aging process yellow smiles as well. Stains from food, drinks and tobacco are called extrinsic stains, and they can be easily lifted. But when you don’t take good care of your teeth and let plaque and tarter accumulate on your smile, they can deepen those stains. While daily brushing, flossing and hygienic cleanings with Dr. Latner help keep smiles bright, they won’t keep your smile as white as you want forever. Our office offers two kinds of teeth whitening: in-office and at-home. Both are effective in lifting out staining materials form your teeth to achieve the results that you truly want. After an oral examination to ensure teeth and gums are healthy enough for in-office whitening, you’ll undergo a quick treatment that takes less than an hour! Your dentist will simply apply the high-grade bleaching products safely to your teeth while protecting your soft tissues and apply a special UV light to your teeth to quicken the process. For people who would like to whiten their teeth at home, Dr. Latner creates customized whitening trays that will whiten your teeth in about two weeks! Maintain Your Whitening Results Easily! If you’re in love with your whitening results from your cosmetic dentist in Los Angeles (which we’re sure you will be), just follow these simple tips to keep your teeth white for longer periods of time! With just a little work, your smile will remain bright and shining indefinitely. Combined with porcelain veneers/Lumineers, composite resin bonding, tooth-colored fillings and other aesthetic treatments like teeth whitening, you can achieve the smile of your dreams by partnering with Dr. Latner and his team. Dr. Les Latner can help you achieve the smile of your dreams. For a complete cosmetic dentistry consult, contact our local practice. The friendly team will guide you through the best dental services for your healthiest and brightest smile ever. by: Les Latner at March 13, 2018 .